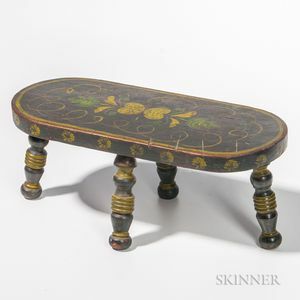 Oval Painted Footstool, America, 19th century, the dark blue top with green- and yellow-painted floral design, on four boldly turned legs, ht. 5 3/4, wd. 13 3/4 in.